Currently, the way we consume knowledge and information about people around us has changed. Our technological reality has created a distanced from the human-personal experience, translated into algorithms, codes, shapes, and is more mediated than ever. This change enables exposure to massive amounts of varied data; it is also a tool through which to study today's human behavior. New Media theorist Lev Manovich sees the emergence of social media in the mid-2000s as an opportunity to study social and cultural processes, through the ability to read and comment on, listen and follow the opinions, ideas and feelings of hundreds of millions of people, where there is no need to ask their permission. In the past, social and cultural studies relied on two types of data: Surface Data, which is about lots of people, and Deep Data, which deals with few individuals or small groups. The first approach was mainly used in fields and methodologies that adapted quantitative data analysis such as statistics and mathematics. The second approach was typical of humanities and used for the fields of literature, arts and history. With the rise of social media, along with the development of computational tools that can process massive amounts of data, online information has become a data base for social study, in which it is no longer necessary to choose between quantitative and qualitative methods. Today it is possible to learn from knowledge and insights created by a mass of people, which are available via internet, thus to combine the two study approaches and their underlying types of data. Liat Segal's first solo exhibition deals with the relationship between the human and the technological, as well as the way the self is represented in social media. 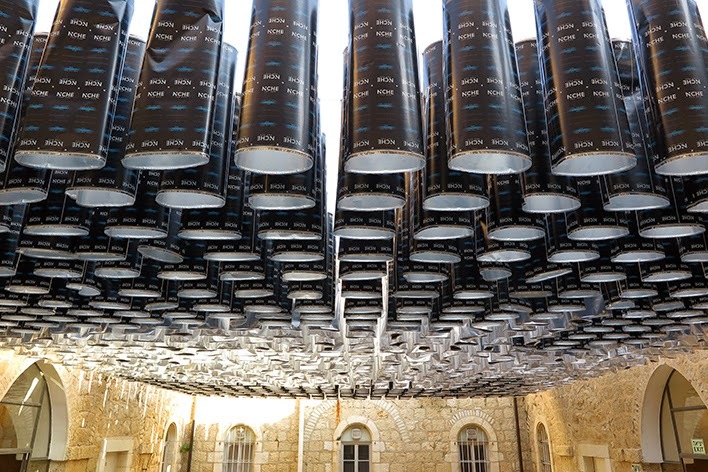 The exhibition consists of four installations that light up the question of a personal dimension in a technological environment and the relationship between human and mechanical behavior. Segal's works combine components and elements of mechanics, software and electronics, which are influenced by the field of software and big data analysis, her previous fields of occupation. She uses these to examine the tension between the quantitative and content-related approaches, between the general and the unique, between the masses and the individual. The title of the exhibition – People You May Know is drawn from Facebook's suggestion to its users, to connect with other users in order to expand their circle of friends. As a rhizomatic data mechanism operating by the principle of interpersonal connections expansion, this Facebook suggestion raises questions about the types of relationships and our identity's definition within Facebook. Segal's quest for the possibility of a personal identity, personalization and intimacy to exist on the internet, has led her to use the Facebook platform as a case study as well as a field of study from which she samples data for her works. 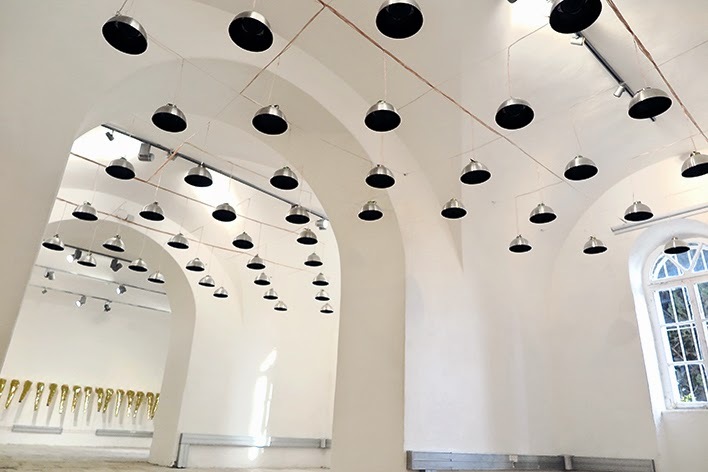 The sound installation People You May Know consists of a collection of audio speakers hanging in the gallery space. Each playing monologues taken from personal Facebook profiles of the artist's friends. These sentences that she reads, using the first person form, are personal and revealing. Segal acts as a researcher, processing and categorizing the texts as social data in a pseudo-scientific "experiment" of profiles identities and narratives identification and appropriation. She thus creates a process of a new identity formation which is composed of multiple voices and narratives sampled from Facebook. The voice moves in space in a way which is determined by an algorithm that chooses the movement course in real time, it creates a sense of a speaker walking in the gallery. 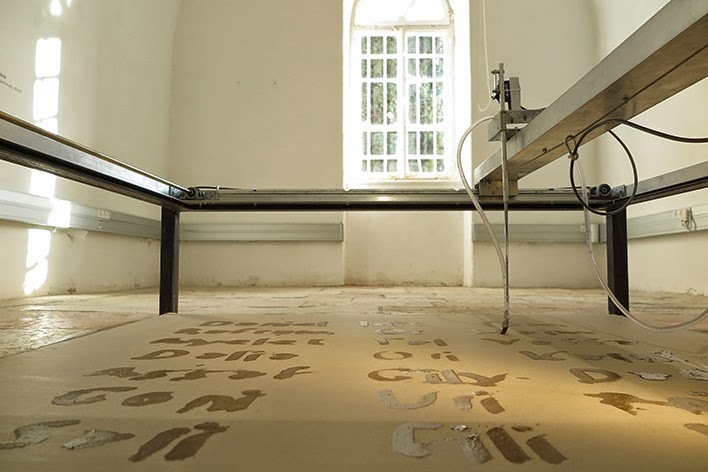 Although the voice lacks body or identity, it does have a location in space, which is represented in the work Location 2.0 exhibited in the adjacent space. 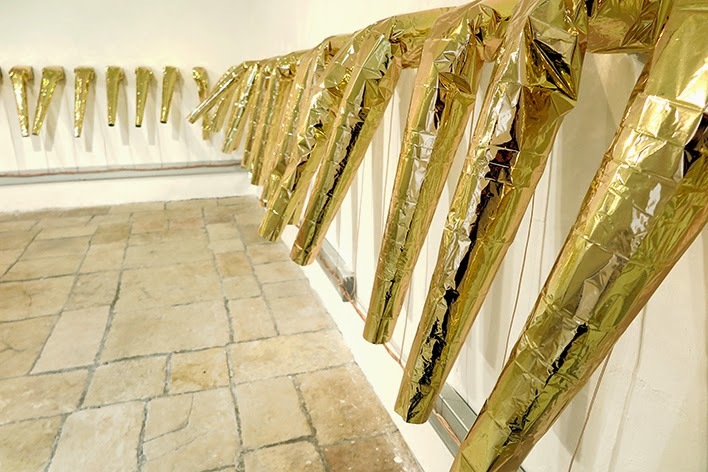 Using shining objects that are originally used as a survival rescue blanket to maintain body temperature, this work represents a mathematical graph of the voice movement in space. The objects hanging on the wall are inflated in accordance with an x and y axis system while pointing to the location of voice in space. Although she uses a mathematical model that supposedly represents the world, the model's physical expression is very much momentary, made of air. 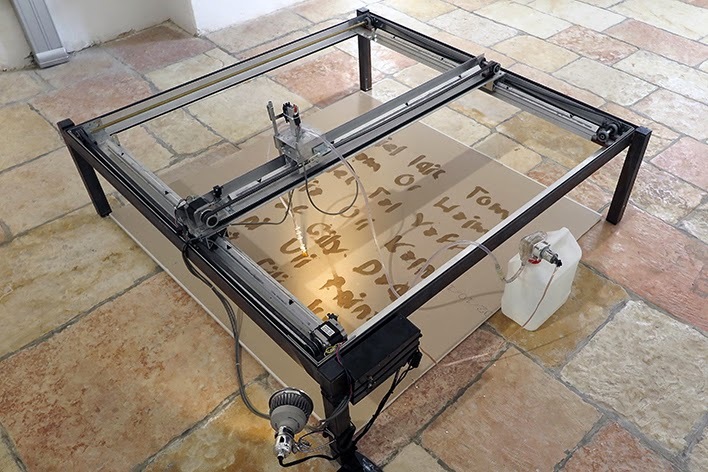 In the installation Writing Machine, a computerized machine is drawing with a paintbrush and water on the gallery floor. Repeatedly and endlessly, the machine scribbles names taken from the artist's list of virtual friends. One by one, the names are written down and then erased (evaporated). The act of drawing makes some of the individual identities present for a moment within the masses, while revealing an additional layer to Segal's entire process in this exhibition – the destruction and reconstruction of identity representations. 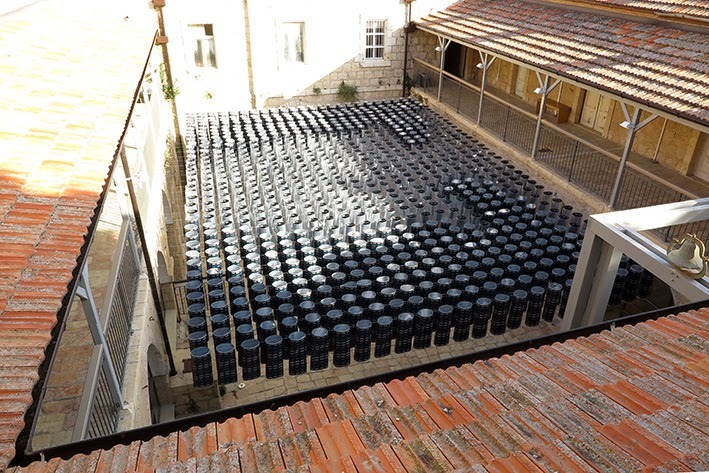 The mass of cylinders, installation Placeholder at the Hansen House patio presents a coded image – the well-known Facebook face icon. 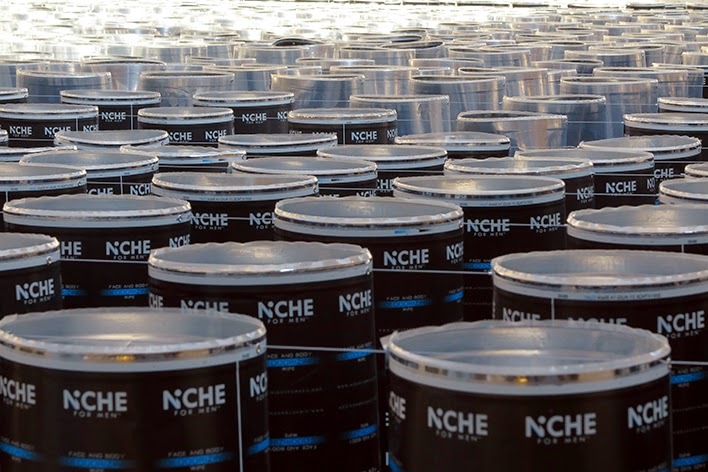 This image is made of a surface covered with roll shaped bodies, originally used as a cosmetics product packages, dark on one side and silver on the other. Together, they create an entire image, a sort of material translation of pixels, where in one particular moment and location of the spectator's sight, this translation consolidates into a generic face. The well-known face icon represents the moment when we join Facebook, the first step of identity construction in it. That very "determining moment" when we change this generic image into our own profile picture poses a question: Have we turned from an icon into a private person, or are we just another statistic in the virtual space?